I don't recall exactly UshCha. I've had 1980s W Germans in 6mm since the actual 1980s so I guess I've picked up a lot over the years. 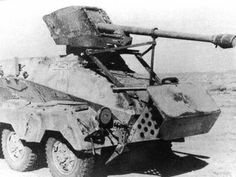 You can see it fairly clearly in pics of the Luchs, whenever you see them on land the props are rotated to face forwards. Thanks, Clive! I've been told it's fairly idiot-proof, a major consideration for a technological Luddite like myself. I doubt I'll ever again have the sort of time to invest in it that I spent building up my Photobucket image library, though. Nothing on my table except the undercoated figures for my Volkssturm and some refugees that have been there for 2 months while I have been looking after my mother. I only get on the 'net rarely and I'm constantly too tired to do anything. Been sleeping on mum's floor because she is not to be left alone while the social services try to find someone to put the care plan into action. Apparently there is "no availability" as they have lost a lot of employees since the Brexit vote. Ah well. Still got the 1/2 built Archer on the desk, + 141 15mm Falschrimjager, just built their support weapons. 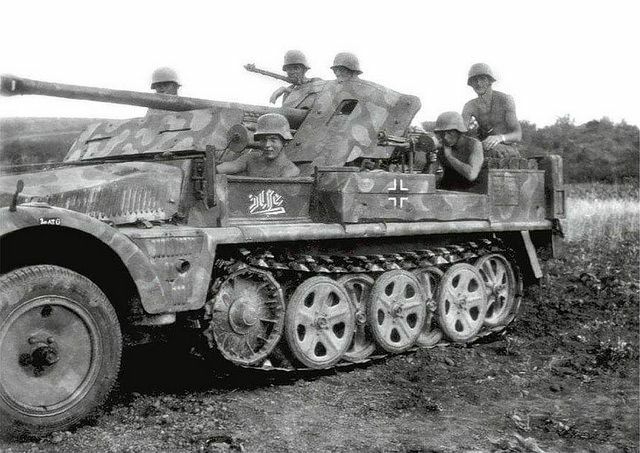 I have another photo of the same vehicle (a rear view), but until i saw this one i hadn`t realised it was a ausf b 251, I happened to have one left in a drawer, so why not? And it seems to be manned by the German equivalent of the Village People! !